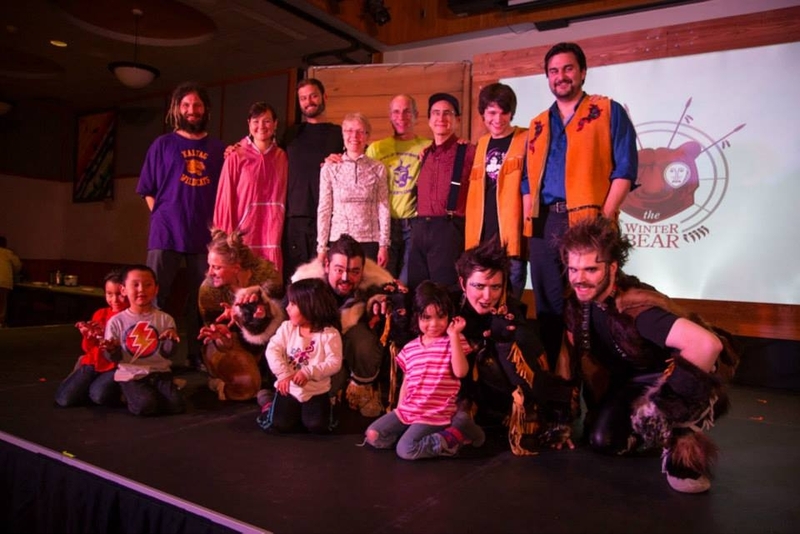 The cast and friends following a performance at Yupiit Piciyarait Cultural Center in Bethel, April 2015. Photo by John Wallace. We are thrilled to share our Final Report from the 2015 Bethel & Beyond tour. Please share far & wide! Lisa Demer of Alaska Dispatch News sat down to interview several Winter Bear artists during our stay in Bethel. 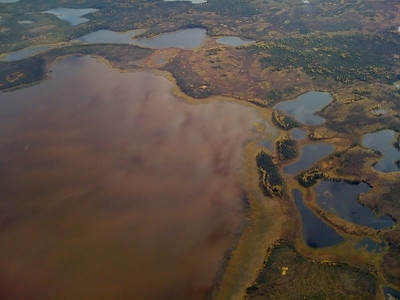 The Winter Bear team has enjoyed a bustling week in Bethel, Western Alaska’s hub of 6,000 people. Immediately upon arrival, we were whisked away to our housing at the Yuut Elitnaurviat People’s Learning Center, and the cast is extremely grateful for comfy dorm rooms after a week sleeping on school floors. We’re fortunate to have the incredible community support of Paul O’Brien, who helped arrange housing, program printing, transportation in Bethel, and more. Paul lost his son Drew to suicide four years ago, and has since founded Drew’s Foundation, a co-producer of The Winter Bear Bethel & Beyond tour. He works tirelessly to improve suicide awareness in the hopes that other families will not have to suffer such a loss. 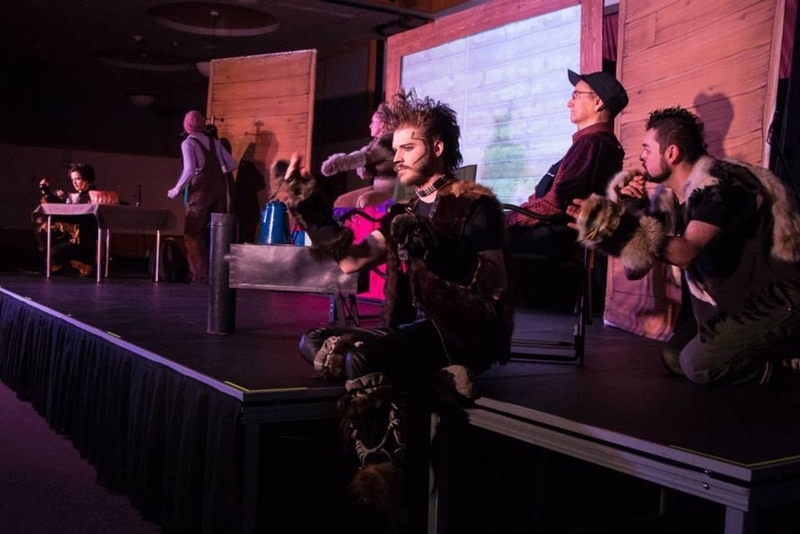 The Winter Bear performed two shows at the Yupiit Piciryarait Cultural Center on Wednesday and Thursday of last week, enjoying all-ages crowds of 300+ each night. 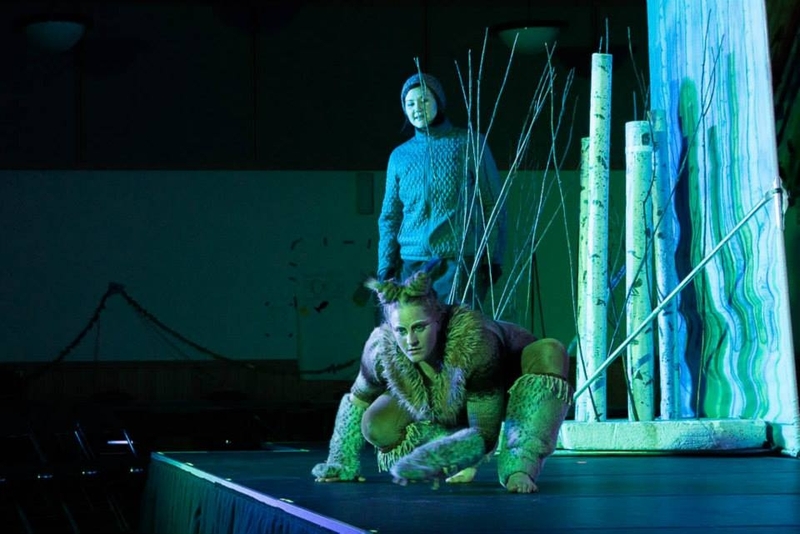 Click here to read a great article about the show from Alaska Dispatch News. Following our run at YPCC, Bethel’s annual Cama-i Dance Festival kicked into high gear. The Winter Bear team is enjoying passes to the festival — what a blast to see so many diverse dance groups! Crow Singer and Hip Hop Artist Supaman had the crowd eating out of his hand. Local dance group from Bethel. A young group of Kalskag Dancers. Our teaching artists are also working with community groups at Cama-i — here’s a shot of Ben Coffroth trying not to laugh during a game of Park Bench! One more day in the Big City, and then we are back to the coast! 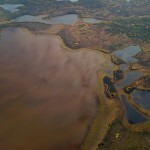 The last three stops on the tour will be Emmonak, Alakanuk, and the Lower Yukon School District headquarters Mountain Village.